Circa 1900. 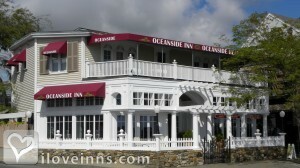 Lush landscape and covered porches with views of the Atlantic Ocean invite relaxation at D.W.'s Oceanside Inn. Luxurious and elegant, this intimate beach house has been renovated to provide modern amenities in a smoke-free environment. Overlooking the sandy 18-mile coastline of Hampton Beach, chairs and towels are provided for fun in the sun and surf. Walk to nearby dining and local activities. Stay in an air-conditioned guest room with impeccable style and lavish d�cor. Breakfast is included and there is a self-serve bar on the back deck. Take a day trip to Boston, just a one-hour drive to the south. The seacoast towns of Portsmouth, New Hampshire and Newburyport, Massachusetts are 15 minutes away in either direction. This property has 9 total guest accommodations with private bath, 1 two-bedroom suite and 1 guest house. The types of beds available include King, Queen, Twin and Double. We cater to adult couples, so no noisy children or teens in halls or next room. 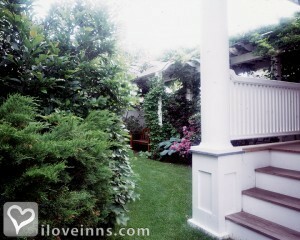 Guests can sit quietly on front or back porch & sip a cocktail or glass of wine. Small "pocket" garden in back. 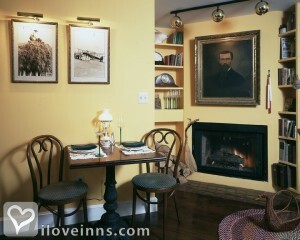 2 nights in season for advanced reservations, otherwise based on availability. Debbie & Skip, We had another wonderful stay with you. Can't wait for our next visit! Guests coming for all parts of the U.S.
Dear Skip & Debbie, Once again we returned to our hideaway at Oceanside! This marks our 7th trip to your wonderful home, over the past 25 years. Today, we are returning to Indiana fully rested and fully "lobstered" out! We look forward to our next visit very soon. ...having a great time for our birthday vacation! Thanks for everything you do! After all the visits to Hampton Beach, we finally hit the jackpot with the best accommodations ever. We're hoping to return very soon to show Karen your lovely Inn. Hope you'll have room for us. Merci pour tout...votre accueil chaleureux, les bon dejeuners, la proprete' impeccable, ...merci pour tout! Wow! After all the visits to Hampton Beach, we finally hit the jackpot with the best accommodations ever. We're hoping to return very soon to show Karen your lovely Inn. Hope you'll have room for us. Dear Debbie & Skip, Merci Pour tout...votre accueil chaleureux, les bons dejeuners, la proprete impeccable,..merci pour tout! We remember why we loved it h ere so much! Deb & Skip, Now I know why we wanted to come back here after missing last year - the need to relax & feel pampered. 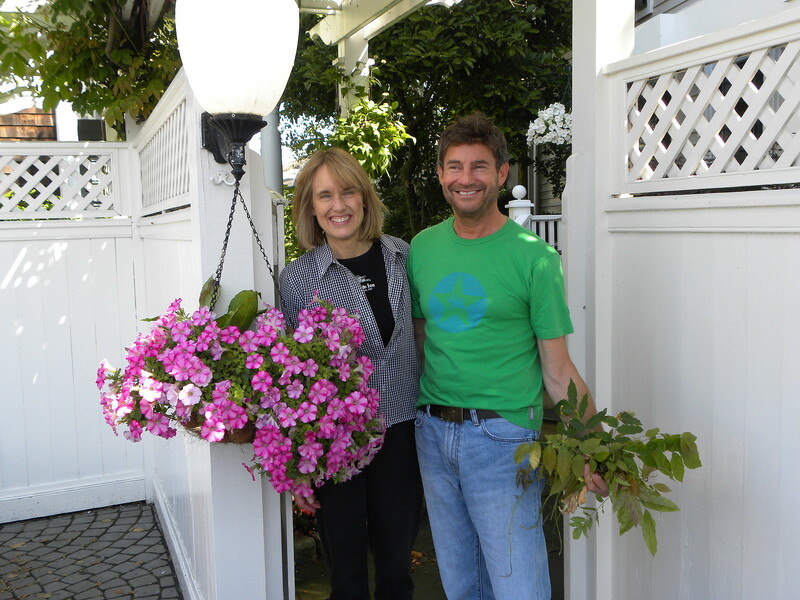 Every time we visit we rediscover what wonderful, friendly hosts you are. It is a pleasure to be at the beach and to be in your company. Thanks again for helping us to have a great mini-vacation. 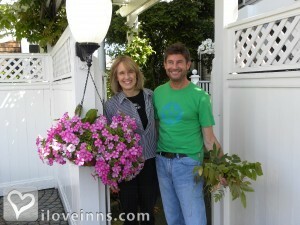 Dear Skip & Debbie, Once again we returned to our hideaway @ Oceanside! This marks our 7th trip to your wonderful home, over the past 23 years. Today, we are returning to Indiana fully rested and fully lobsteted out! We look forward to oour next visit very soon. 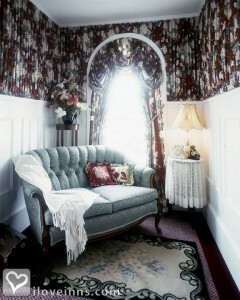 You have such a beautiful B&B...our first time here. Every little 'touch' is so special. We surely will return again. Thank you. If there's such a thing as a six star property, D.W.'s Oceanside Inn is it. Centrally located directly across from the beach, this adult, smoke free, quiet proeprty is a diamond in the rough along the strip of Hotels and Motels at Hampton Beach. 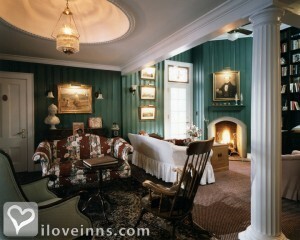 The Inn itself, and the rooms are incredibly decorated. You won't be able to take your eyes off the fabulous antiques. Breakfast included, was excellent. 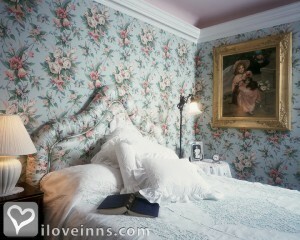 This Inn is immaculate from top to bottom and innkeepers Skip and Debbie couldn't be nicer or more accommodating. Everything you need is here. This is our 6th trip to your amazing home, we refer to it as our "hide-away"...This is also the 21st anniversary of our very first visit in 1989....Thank you for your gracious hospitality and we shall return soon again. The front door is always kept locked. After two rings on the bell, a less than hospitable woman allowed me in and wasted no time in rattling off the rules of the house. No coolers in rooms; they are to be stored in basement. Guests must exit/enter inn from basement bulkhead when going to/returning from beach, and must shower down there before returning to main floors. Special key is required for returns after 11PM. Room keys must be placed in open mail slot when leaving the premises, so innkeepers know at all times whether you are on or off site. And incredibly, NO UNREGISTERED GUESTS are allowed within the confines [my word] of the inn at any time. The last we learned only after casually mentioning that adult children would be meeting us there to join us for dinner. Too late [and too embarrassing] to notify them otherwise, we had them wait for us on an outside porch while we dressed, only to be summoned by the same woman, and reprimanded by her within earshot of our guests. She ranted that she would be fired by the innkeeper if he learned of our infraction. I assured her that we would be leaving for dinner shortly, yet she left in a huff. When we returned to our room after dinner, we noticed a sign on the porch door that read, �Sorry, but this door has been broken....� the equivalent to a parents� scolding or �I told you so.� A loosened screw in the handle was easily fixed by us, and the note removed. By far the worst experience I have ever had at an inn, completely inhibiting my ability to relax, despite the civil treatment by the actual inn keepers on the days that remained. On a positive note, breakfasts were simple, but good, though only served until 9:15 AM. Wonderful! Just Wonderful. We will be back. God Bless you both. Let's preface this review with the fact that my wife and I are experienced BnB 'ers... This wasn't our first experience at a bed & breakfast. I will also add the fact that I have NEVER left a scathing review of a lodging online before... But this place made my blood boil. I chose to stay at the Oceanside Inn based solely on reviews like the ones found on this Web site. Virtually all of the posted reviews were stellar, so I didn't hesitate in booking the king sized ocean view room for a summer trip to the beach. The rate was very high, but that's beach pricing. When we arrived, Deb met us and rattled off a slew of house rules. Now the interesting part here is that another reviewer had stated that this happened to him, so I had asked about this prior to booking. On the phone, Deb had seemed very relaxed about things which is why I booked. But in person, she was very stern. Be in by 11 pm, or request a key ahead of time... Doors will be locked. Use the side entrance for trips to or from the beach. Leave your room key here at all times (in a little public slotted area), which I was quite uncomfortable with. 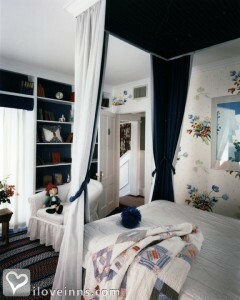 Every time we came or went, someone went into our room.... To tidy up, or turn down the bed, or open the window, or... It just never stopped. They moved my personal effects around, touched my travel mug. I was again displeased, I don't like people touching my things. On one day, they were in our room at least 4 times, because things kept being moved around. And Deb always seemed to be watching us, as if we were intruders in her home. It seems that if she feels this way, perhaps she shouldn't be an innkeeper. The next disappointment came from her husband, Skip. We asked him for information on places to eat, things to do, etc. He enumerated a couple of things and then told us that it was the beach, there were way too many restaurants for him to know them all. More or less, just "fend for ourselves." Later in the week we asked Deb about hiking in the area, and she gave us a strange look and said that in all the time she had run the Inn, no one had ever asked about hiking before. Perhaps hiking isn't their thing, but part of a great BnB is that they can guide their guests in having a great vacation experience. And hiking here must not be too strange, since a quick Google found numerous sites devoted to NH seashore hikes. 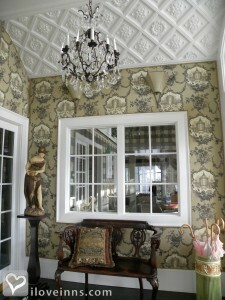 The room itself was beautiful, but mostly non-functional. A single dresser with tiny drawers. A bathroom so small that we couldn't go in at the same time, and not even enough room for me to charge my electric razor (I had to balance it on the tissue holder). My wife had to keep her toiletries in the closet, and I kept mine in one of the tiny dresser drawers. In the main area, one of the electric sockets didn't work (it was too stretched out to hold a plug). But there was... Get this... A complete manual of RULES! Unbelivable. 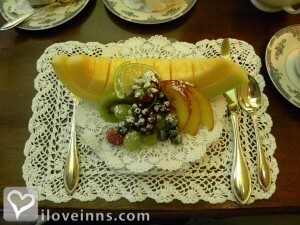 The other half of a bed and breakfast is the food. While it wasn't bad, labeling toast as "HMT" (home made toast) doesn't change the fact that it's just toast. After the sumptuous meals that I've had at other BnB's, eggs, toast and juice is really nothing special. Couple that with having to "order" the night before, and having to tell them when you would be downstairs for breakfast, and this became a real chore. And 9:15 was the cut off. Really? We're at the beach and we can't sleep in without missing breakfast? I heard a guest in the house next door comment loudly through his window, "what would you like for breakfast?" This was at 11:30. As I titled this review, a complete disappointment. I paid a LOT and I got stress and tension. No chance to unwind, which was the whole point of going to the beach to start with. As far as I can tell, this is a snooty place for snooty people, run by snooty, nosy, greedy innkeepers (they had no problem trying to hawk their wares and private label root beer at their "gift store"). One night we watched the fireworks on the beach, and then wanted to sit on the veranda. But all of the furniture was covered and Deb looked at us as if we shouldn't be out there. So we came in and went to bed early. It's pretty much "lights out" at 11 pm here. This experience has led me to three conclusions: 1) I will never book a room at a "non-refundable", "minimum length" stay place again... Ever! 2) I will never stay at a BnB, sight unseen again... Ever! 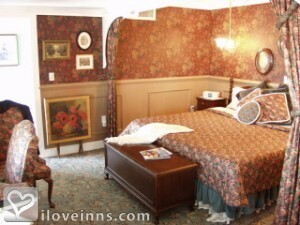 3) I will never stay at the Oceanside Inn again... Ever! Even if it was free. I'm seriously pissed off. Hampton Beach is a great resort town, and this experience ruined it for me. Just so tragic! Other Ratings: "3 Mobil Stars, "